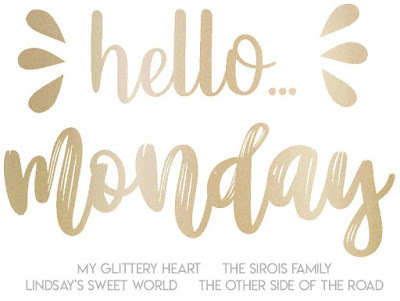 Today I'm linking up with Lindsay, Heather, Johannah and Tanya for Hello Monday! I'll start off by showing you my fake eyelashes. LOL! On Friday I made homemade pot pies and oh-my-gosh were they delicious! I used to make every. single. thing. homemade, but I've since resorted to store bought dough...and it makes my life so much better. I do miss the flaky, buttery-goodness of homemade dough, but the time that is saved makes the pot pie taste just as good...Haha! Jon and I woke up at 5:45 a.m. on Saturday morning to the sound of a little voice informing us that she had thrown up. That husband of mine cleaned all morning. He cleaned EVERYTHING. He disinfected like crazy. He wiped down the bed, the bed frame, the rug. He got Eliza into the shower, he washed all the bedding, he wiped down all the door knobs, threw away all the toothbrushes, deep cleaned all the bathrooms and washed and dried all the coats, backpacks and lunch boxes. We really, REALLY don't want to get sick over here and with me being pregnant, Jon took on all of this by himself so that I wouldn't be exposed to all the icky germs. He was a rockstar and I'm going to toot his horn loud enough for the world to hear! As for girlfriend, welp - she had only thown up that one time, watched Moana and The Little Mermaid, took a nap and was feeling MUCH better later Saturday evening. She was still a bit groggy, but by Sunday she was back to her sweet, energetic self! It finally snowed here in our part of Michigan!!!! Henry took it upon himself to shovel our driveway. We didn't ask him to do so, he just got to work. As you can see, he even removed his gloves, hat and coat because he was getting hot. You guys, he did the entire driveway! He negotiated with us and said he'd like $5.00 for his work. Done. Jon hung up a new light fixture that I ordered ages ago! Oh my goodness, I was BEYOND excited!!! 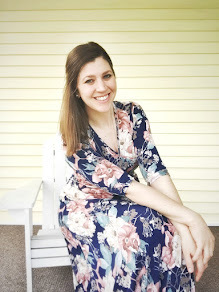 Henry snapped some 30 week pictures of me in front of our barn door and as you can see, I'm playing with wall colors again...because I have problems. Gah! ........aaaaaand that's it. It was a quiet weekend, that's for sure.